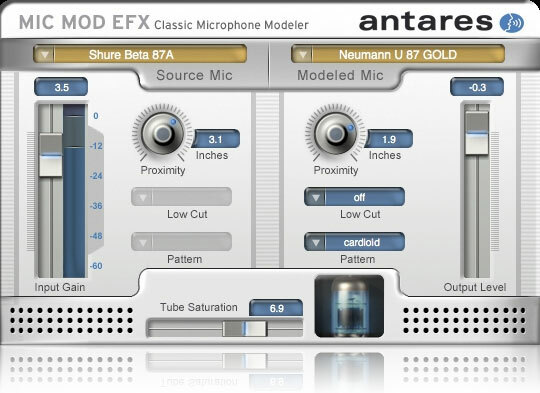 A modern incarnation of our legendary Microphone Modeler plug-in, Mic Mod EFX lets the microphones you own sound like the microphones you wish you owned. Using our patented Spectral Shaping Tool™ technology, we've created precise digital models of over 125 historical classic and exotic microphones. 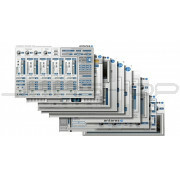 Simply tell Mic Mod EFX what microphone you are actually using and what microphone you'd like it to sound like. It's as simple as that.. 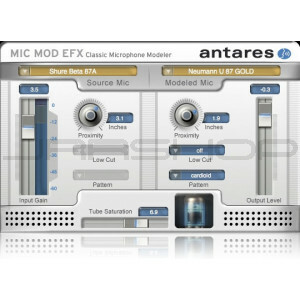 If you've ever wished for an extensive collection of exotic mics (but shuddered at the cost), thenMic Mod EFX is the plug-in for you. Not only do Mic Mod EFX's models reproduce all of the subtle sonic characteristics that make each microphone unique, but they also give you control of each mic's specific options. Does the mic have a low cut filter? If so, it's in the model. Wind screen on or off? Close or far placement? Each option results in the same sonic effect that it would have with the actual modeled mic. And for that final touch of perfection, you can even add some tasty tube saturation. • Windows 7, Vista as required by your host (not compatible with Windows XP). 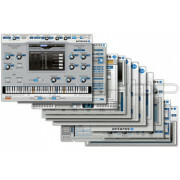 Mic Mod EFX authorization requires an iLok USB smart key and the ability to access ilok.com (on any computer).